We know how important it is to have a skilled and educated workforce. That is why The Alliance has expanded its benefits to include higher education opportunities. Through our Academic Partnerships, Alliance members gain access to participating schools that offer quality education and enhanced learning opportunities. Alliance member employees are entitled to a 15% tuition discount when enrolled in an Undergraduate or Graduate Studies program. Eligible Master’s Degrees are: MBA; MSA; MS in Criminal Justice; MS in Human Services; MS in Management and Organizational Leadership; MA in Leadership. New or continuing students will qualify for discounted tuition provided they document their employment status with a letter from their employer. Get started today! Alliance member employees who matriculate into one of the following degree programs – Business Administration, Management & Leadership, Human Services, Criminal Justice, Homeland Security, Public Safety & Security, Early Childhood Education, Child Studies, Manufacturing, Environmental Studies, General Studies or the Masters in Organizational Leadership are entitled to a 25% tuition scholarship provided that they are in good standing with their employer. Contact our Admissions office at 860-727-6766 for more information and tell them you are part of the Alliance workforce partnership! Alliance employees, member employees, spouses, and legal dependents are entitled to a 5% tuition reduction on all Penn State World Campus programs. Penn State World Campus offers online courses that are the same academically challenging courses taught on campus, with the flexibility and convenience to study wherever you are, at times that suit your schedule. 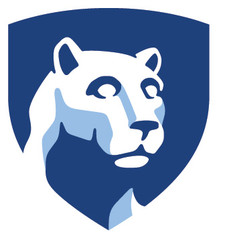 Click here to visit the Penn State World Campus Alliance member page for more information and to access your tuition reduction form for the benefit. Alliance member employees and immediate family members are entitled to a 20% discount when pursuing certificates, and graduate and undergraduate degrees. Interested and looking for more information? Go to www.Post.edu or contact Annalynn Winters-Fuentes at 800.345.2562 and let her know you are an Alliance member.